Confucius Institute Day (27 September 2014) was a worldwide event to celebrate the tenth anniversary of Confucius Institute programmes across the world. In partnership with IOE Confucius Classrooms across England, we held a series of high profile national and international events to mark this special day. We kickstarted the day by having video conference with Russia’s first school-based Confucius Classroom in Perm. 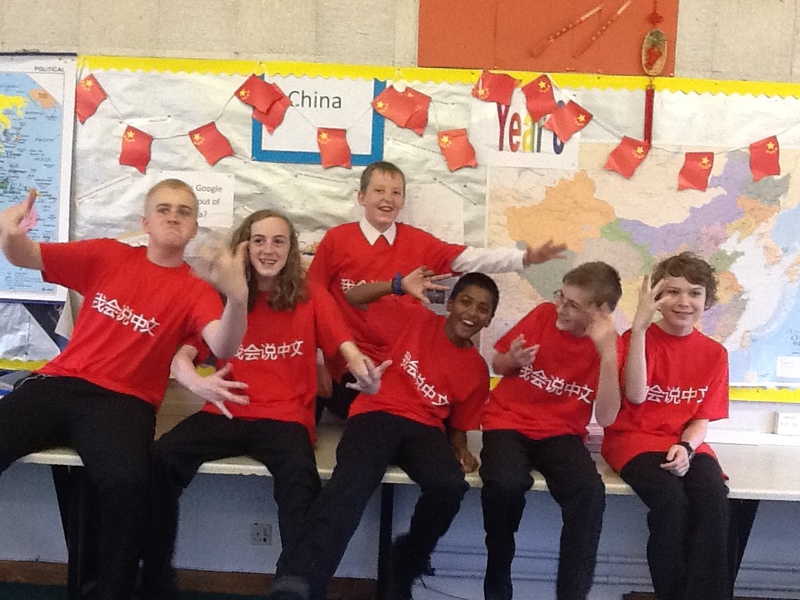 Students from IOE Confucius Classrooms led two online Chinese lessons aimed at fellow secondary and primary students in other schools. CI Day celebrations also took place in schools across the county, including Finham Park School, Hove Park School, Kingsford Community School, Lincoln Christ Hospital School, Our Lady’s Convent High School, Peninsula Group Confucius Classrooms, Queens’ School, Robin Hood Primary School, Rosendale Primary School, St. Chad’s High School, Torquay Boys’ Grammar School and Wellington College. Hundreds of British students took part in these exciting activities. Videos of CI Day celebration at Rosendale Primary School can be viewed here. As part of the celebration, 30 stunning photos featuring modern China selected from the Young Photographer’s competition were exhibited in the entrance hall of IOE’s main building, attracting lots of audience including Minister Counsellor Shen Yang from the Chinese Embassy. Another highlight of the day included national strategy meeting for Chinese teaching and learning in English schools. Participants came from Department of Education, Chinese Embassy in London, British Council, as well as schools and exam boards. The meeting discussed current issues and next steps for Chinese teaching in English schools. Students from our Lady’s Convent High School, Hackney, performed in an evening gala concert at London’s famous Cardogan Hall. The girls sang and danced as special guests in a programme of mostly professional performers. The concert was an impressive and uplifting showcase of Chinese performance arts and the perfect conclusion to CI Day 2014. Happy 10th birthday, Confucius Institute Programmes around the world!